Vinayaka Chaviti (Ganesh Pooja) is on Friday, August 29th, 2014. I have been receiving requests to post a few Ganesh Chaturthi recipes that I have not yet blogged. 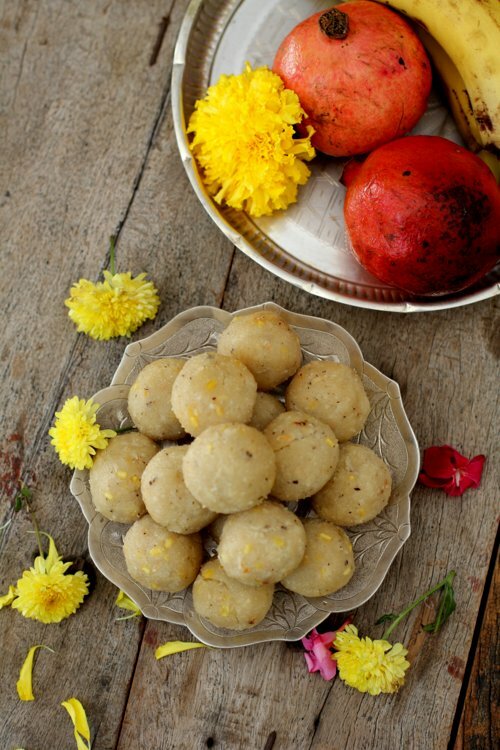 Today, it is Bellam Undrallu (bellam = jaggery in Telugu) which is also called Teepi Undrallu (teepi = sweet in Telugu). The sweetner of choice is jaggery but you can use sugar too. 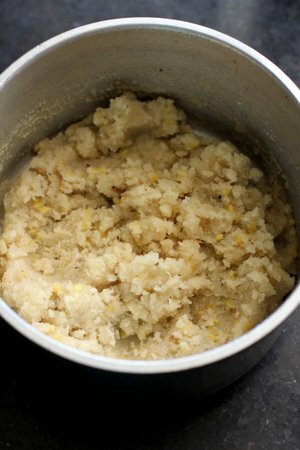 I have used coarsely ground rice called biyyam rava but you can use fine homemade rice flour to make this sweet prasadam for Lord Ganesha. Rice rava, moong dal and jaggery are cooked to a gooey mass, cooled and the resultant mixture is shaped into small balls called undrallu. These undrallu are steamed and offered as naivedhyam to Lord Vinayaka on His birthday as they are considered his favorite food. 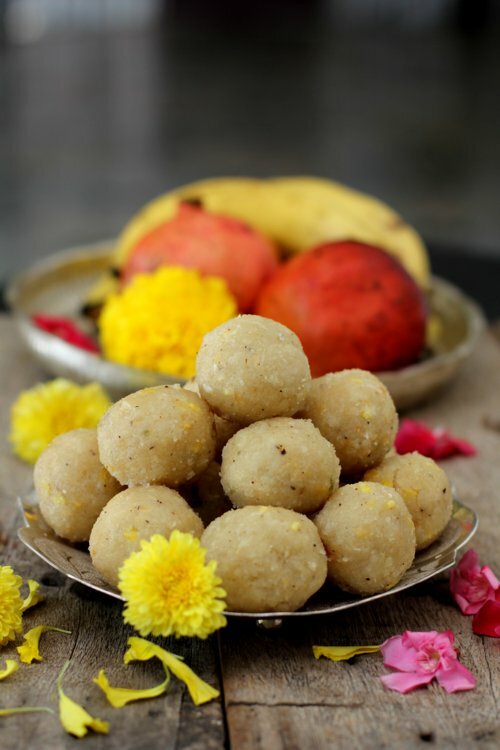 Here are a few more Ganesh Chaturthi recipes that you can make for Ganesh pooja 2014. Heat water in a vessel and bring to a boil. Add the drained moong dal and jaggery. Allow the jaggery to melt completely on medium flame. Add grated coconut and cardamom powder and mix. Reduce flame to low, slowly pour the rice rava and keep stirring till mixed. Place lid and cook on low flame for 7-8 mts. Turn off flame. Allow to cool till you can handle the heat of the mixture to shape them into balls. Knead the dough and mix the contents well. 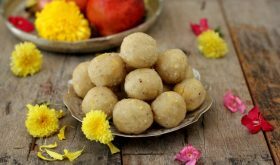 Grease your hands with ghee and shape the mixture into small balls. 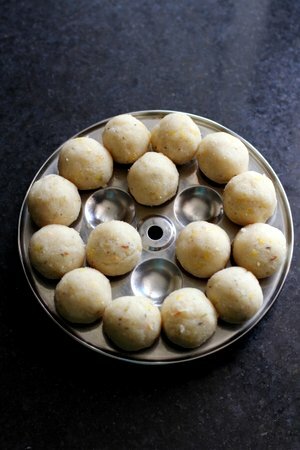 Place these balls on a ghee greased plate or idli plate. Steam the balls like you steam idlis without the pressure cooker weight. Steam them for 8-10 mts on medium high flame. 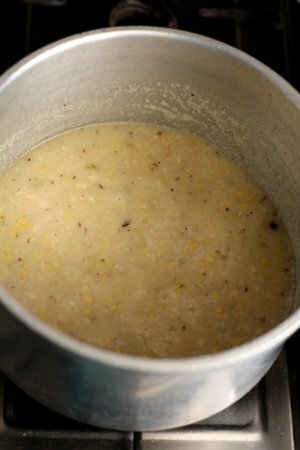 Once they are steamed, turn off flame and allow the pressure to ease. Remove lid and place the undrallu on a serving plate and offer them as naivedhyam to Lord Ganesh on Ganesh Chaturthi day. You can use rice flour too. 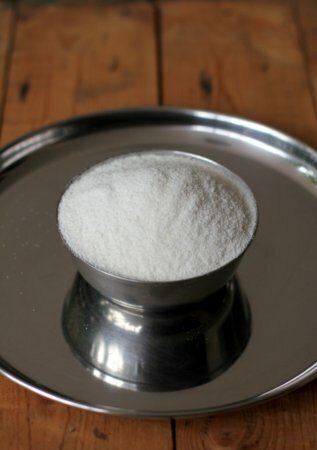 If using rice flour, reduce water to 2 1/4 cups. Instead of jaggery, you can use sugar. Very nice laddus, Thanks for sharing the recipe. Rice ravva means.. we have to soak rice in water..or directly crushed?